Teresa Slack began creating stories and characters about the time she learned to hold a pencil. Her first novel, Streams of Mercy, won the Bay Area Independent Publishers’ Assn award for Best First Novel. The third book in her Jenna’s Creek Series, Evidence of Grace, debuted nationwide according to Christian Retailing Magazine. 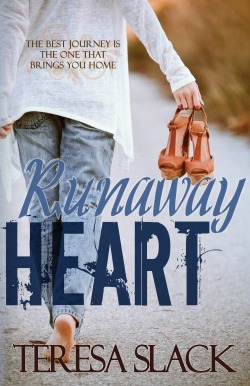 Her latest novel, Runaway Heart, is set for official release March 7, 2014. She grew up in rural southern Ohio, which provides the background for much of her writing. Her down-to-earth characters and writing style have endeared her to readers and reviewers alike. Teresa believes people who think nothing ever happens in a small town just aren’t paying attention. She loves writing in many genres, especially suspense, mystery and romance with a touch of humor stirred in. Someday she even hopes to write a historical. I write because I love making an impact on people through stories. I love creating characters and story worlds and inviting a reader in to get to know them. I love to entertain and encourage people. Doing it with stories just comes naturally. But the main reason I write as I race toward the ½ century marks is because life is short and I don’t want to leave anything undone. My favorite is suspense, though I love romance and humor. I’ve even tried my hand at a historical western in the last year and I loved it. I hope to create a western series by the end of the year. What do you like to see in a Hero or a Heroine? Flaws. In so many books the hero or heroine are almost perfect. Perfect looking. Perfectly witty and charming. I like characters who make mistakes or sometimes say the wrong thing. Of course I want to love them and root for them. But that’s easier for me to do if they’re human. Life is short. Over the last few years I’d gotten so far away from writing, I didn’t even feel like a writer anymore. I hated that feeling. I don’t want to be a busy person who writes books. I want to be a busy writer. I’m tired of spinning my wheels waiting for something to happen in my writing career. If it’s going to happen, I have to make it happen. Money being no object, where would be your dream writing getaway? I’m not particular as long as there is a rocky coast with a view of the water. Just thinking about it makes me want to write. Unfortunately there aren’t many rocky coasts here in southern Ohio. What is your favorite marketing task that has resulted in a sale or sales? Bleh… I can’t think of any marketing task I enjoy. Unless you include talks or presentations. I absolutely love doing library talks and I always sell books there. They are a blast. Can you share your long term goals for your writing career? Are there more romances on the way or are you working on a suspense? Deciding on which book to work on next is one of my favorite decisions to make. I have some potential romances stirring around in my head, but there are a couple suspense novels I have wanted to focus on for way too long. I’ve completed the first mystery in a series, but I want to get a handle on the other books before I pursue publication. The very first task, though, on my to-do list is to release all my traditionally published novels to ebooks. I’ve never heard of shrimp farming in Ohio. What made you include it as a story element for Runaway Heart? Small family owned farms are shrinking or disappearing throughout Ohio. I wanted to explore viable options for farmers looking to create additional income. And of course, I’d never read a book about shrimp farming either. Investigating and learning about it was fun. Tell us one thing about your heroine that may or may not have come out in the book. She never told anyone, but she always dreamed of being part of a big family. She’s afraid of making the same mistakes as her parents and hurting any children she might bring into the world. It easier to avoid the whole situation than figure out a way to break the cycle. Though she’ll never admit it, she’s not as courageous as she likes to think. What takeaway value do you hope your readers receive after reading RUNAWAY HEART? Life doesn’t come with guarantees, no matter how much we wish it did. We have to trust in something. People and circumstances will let us down or not measure up to our expectations. God is always there in our fear and disappointment. He won’t let us down if we call on him. 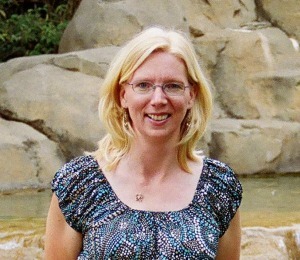 Be the first to comment on "Interview: Teresa Slack"